Its been over 10 years since i rebuilt my cutlass. I have put many miles on it driving it to 4 different states, a few legs on a couple Power Tours and over a dozen road trips with friends. It has been a great car and has never let me down but it’s showing its age. 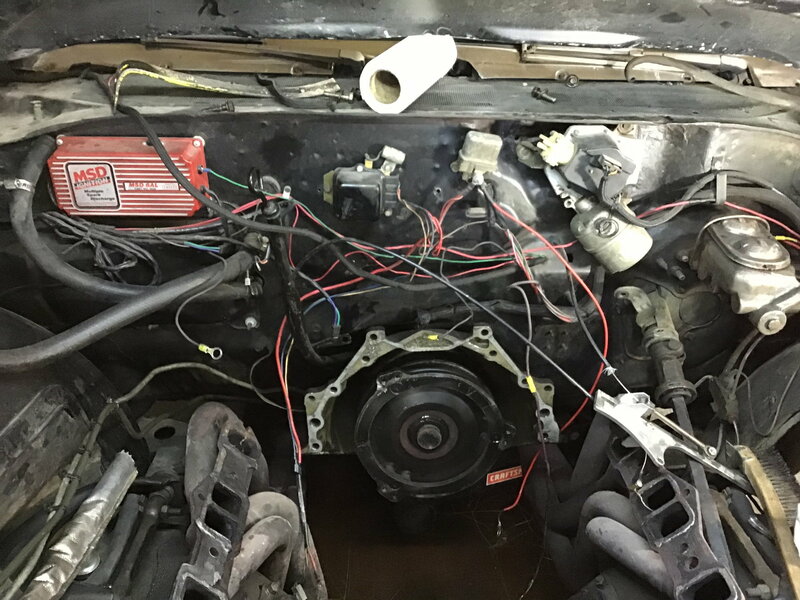 I am getting a new engine built currently so its time to detail the engine compartment when the engine comes out. I have a few questions as far as the upgrades i will be doing. I would like to switch to an electric fan to free up a few horsepower. Should i go single fan or duel fans? I will be purchasing new and not using junkyard parts as i want the install as slim as possible. I do not have AC but i was thinking if i had duel fans i would wire one of them to a toggle switch just in case i need it. Also I’m looking for ideas for air cleaner set ups. I currently run a 14x3 open element with the element style top as i have the oai hood but I don’t have it sealed to the hood in any way and i would like to take advantage of the cooler air coming through the scoops on the hood. I am also looking for new shocks, i just have a set of cheap Monroe’s on it now and I’m looking for something adjustable. I put Vikings on my trans am but i wont know how they work until this summer when it gets back on the road. The car is used for cruising, drag racing, and going on long road trips so i would like to have some adjustability. I’m sure i will have a lot more questions as i dive into the refresh and various upgrades. I will post current pics up tomorrow after i clean up the shop thanks for looking. While the engine is out I’m looking to clean up the firewall some. Specifically I’m looking to get rid of the voltage regulator and the horn relay. I could move the horn relay up by the radiator to keep the horn. I would rather not just cut up the wiring so what is the best way to accomplish this? I am going to be moving the MSD box inside behind the glove box also. Any suggestions are appreciated thank you. A few general 62 Starfire questions and updates.